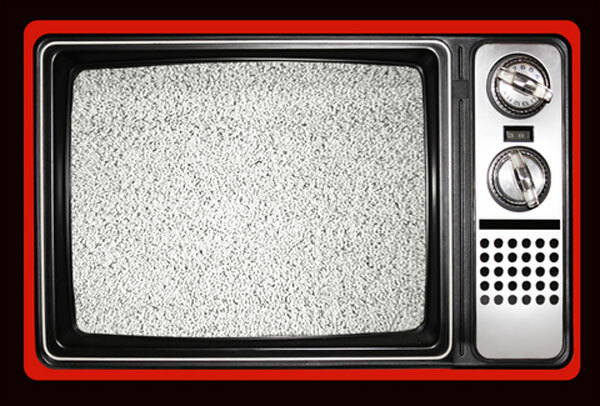 As I’ve mentioned before on my blog I love me some television and because I was sick last week I viewed even more TV than usual. Luckily it was premiere week and all my favorite shows started their seasons with a couple new shows thrown in the mix. I thought it would be fun to review these shows and give you an idea of what is worth checking out this season. I didn’t watch any premieres Friday or Saturday so that’s it. I know its a ridiculous amount of television for one human being to watch but I was sick! If I could only recommend 3 shows it would be Up All Night, the Middle and the Amazing Race. Today was a very stressful day. It started with an early, tired morning and the long drive up to the CFO’s office for work. I was so tired that I stopped to get gas in my car and made the poor choice of getting a diet coke and a doughnut. What can I say I had a weak moment! Then it was a busy day at work printing checks and sorting sales tax returns. Then there was the drive home and 4 more hours of work (until 8 pm so including driving 12 hour day) because I have to take Friday off for Slam the Dam. I also finally decided to purchase my bus ticket to Las Vegas for Slam the Dam. On one hand this excited me but on the other it kind of freaked me out. It is refundable so if something happens like my illness flairs up I can get out of it but it just felt like a large commitment in time and money to this race. I honestly think I would be less stressed out if I hadn’t been sick all of last week and had hardly any training. Of course, eating a doughnut and not getting a workout today didn’t help my stress levels. And then as I was absorbing my feelings I realized I think it is just a Monday. Monday’s are always the most stressful day of the week for me. Wouldn’t you agree? There is always so much to be done- especially on a week where I know I am going to be away or busy later in the week. It puts extra pressure on Monday. Plus, it just feels like you are never going to finish everything, fit it all in. Evidently I’m not the only one who feels this way. I was texting my trainer about the woes of the day and she agreed with me saying ‘I agree with you on today. It was a MONDAY. So glad it is over’. My thoughts exactly. She also reminded me to ‘stay positive’ and that ‘everything will be great’ (She is the best. Such a blessing in my life). The same sentiment was repeated by my Dad, Mom and many of my friends. It also helped to hear from a couple of my open water swimming friends about their similar anxieties and worries about racing. It’s nice to know I’m not alone. When you’ve worked so hard for something you just want to do your best. You want it to be a success. It is easy to analyze every moment you could have done better (ie huge guilt complex over eating a doughnut. As if that is going to stop me from finishing the race!). Sometimes I am glad I’m single and someone doesn’t have to put up with my stress-out sessions (my Mondays!). I’ve gotten better at handling things over the years but I still have those days. What do you do to handle stress effectively? How do you face a week full of busyness without feeling a little nuts? 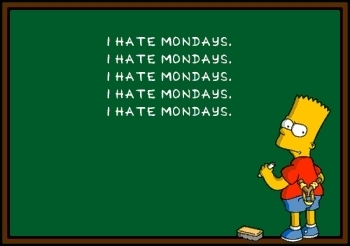 In other words, how do you deal with your Mondays? I personally am a big believer in processing your emotions honestly and completely. Even it if seems dumb like the doughnut worry. If it is adding stress to my life then it is not dumb. I take a big breath, maybe shed a tear or two, create a plan and give my self as much positive self-talk as possible. It also helps to deal with the worst possible outcome of the stressful events- to ask What’s the worst that can happen? Usually once I ask this question I realize I can handle it, even if things don’t go my way. It’s amazing what a difference these techniques can make in my overall well being. My pulse goes down (sometimes my sugars will literally go down when I manage my stress) and I physically and spiritually feel at peace. 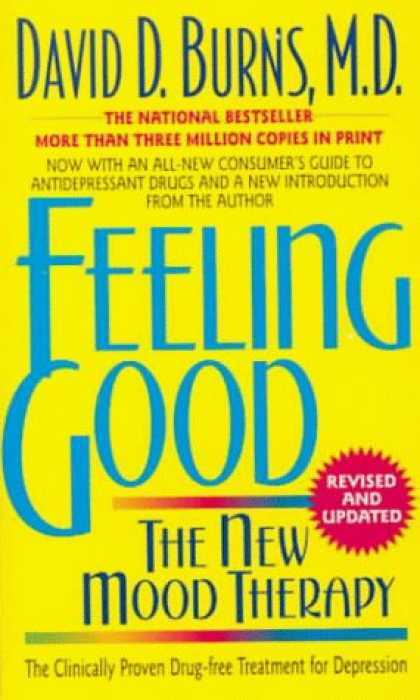 If you want to read a great book on handling stress, depression and anxiety read David Burns classic on cognitive therapy Feeling Good. One of my roommates gave it to me and it has truly helped me time and again to create plans for dealing with my emotions. I think it should be a part of every person’s personal library. (It is over 700 pages so it is better as a reference then to read outright- although I’m sure that would be very helpful). Some may think it is strange that I admit to such emotional struggles, but I do so because I think everyone deals with these issues in some form or another. I also want to be clear that my problems are manageable and certainly not the type of debilitating depression and other mental illness that some people face. My triggers are of the ordinary, garden variety stressors. Perhaps my strategies can help others in some small way? Also I must say thank goodness for Dancing with the Stars on Monday nights! If I’m having a bad Monday at least I know somewhere out there a celebrity is having a worse night on the ballroom! 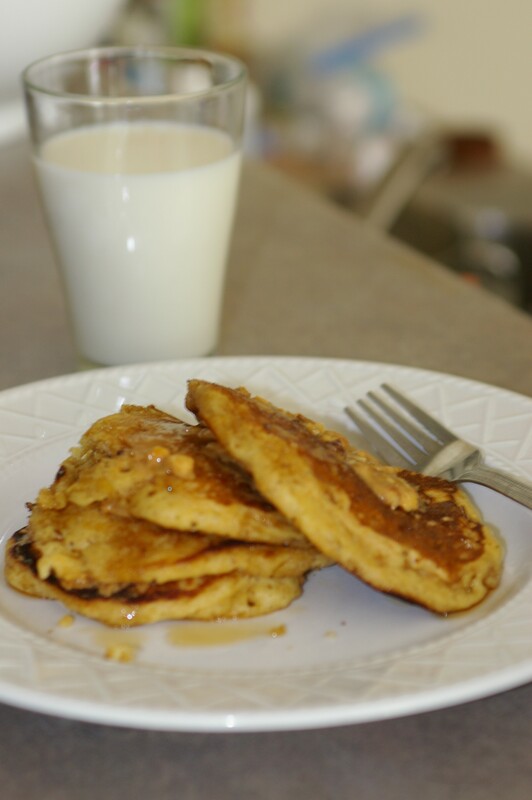 So today I made the most delicious breakfast- whole wheat pancakes. I LOVE pancakes but most whole wheat are thick and heavy. These weren’t. I must admit they tasted particularly good thins morning after having a rocky sleep last night (kept waking up with coughs, the cpap was bothering me etc). The recipe is from my blogging friend White Lilly with a few minor modifications from yours truly. I've been working on learning how to use my pentax. I would like to have better photography for my blog including my food photos. What do you think? I like to put peanut butter, and then maple flavored agave on the top to add some protein and a more low GI sugar. Whisk wet ingredients together, taking care to sufficiently beat the egg. Then add dry ingredients, mixing well. For smoother batter, use electric beaters (I’m usually too lazy to get them out and just mix it by hand). I like to use fresh ground flour, and I prefer to use soft white wheat (aka, whole wheat pastry flour). Hard white wheat will work as well, but if you go to red wheat you will be exchanging a mild flavor for a stronger one. If desired, add three to five blueberries (depending on the size of your pancakes) to each pancake immediately after dropping the batter onto the grill. Do not mix the blueberries all at once directly into the batter; it will just turn the batter blue! Coat a grill with nonstick cooking spray and preheat to 300-325 degrees. You may want to fiddle with the temperature a bit to find out where it’s optimal. If it’s too hot the pancakes will be dark brown. When the batter starts to bubble, gently lift an edge with a spatula; if it’s a light brown/golden color and seems like it will stay intact, then it’s ready to be flipped. Cook on second side for a minute of two, peaking under the edge frequently to make sure it doesn’t get too dark. Sometimes I flip them back over the the first side for several seconds just to make sure that the pancakes are cooked all the way through. As I mentioned in my last post I am kind of clueless when in it comes to relationships. I have no idea how people find each other and what makes chemistry with seemingly incongruous people work? It is the great mystery of my life! 1. Describe yourself in a single sentence- Rachel is an independent, modern, Mormon woman who loves her life, family and friends. 2. What would you cook for me?- I think cooking together is fun on a date. Interactive foods such as pizza or egg rolls are fun because people can individualize them which teaches you something about their likes/dislikes. 3. What would you like to change about yourself? I can be a bit of a stress-out at times and I have hard time letting go of grudges. 5. Do you make friends easy? With girls I do. I seem to have a hard time making friends with boys. I don’t know if I have ever had a platonic guyfriend. Not sure why? 6. What’s your idea of the perfect date? A perfect date would be a good meal, with good conversation followed by a concert (Josh Groban or Michael Buble if the guy is really trying to win brownie points!). I like most anything on a date but I hate it when I have to do all of the talking. 7. Where do you see yourself in five, ten, fifteen years? Maybe this is sad but I’ve never been much of a dreamer. I am happy with my life and current goals. Whatever else happens is great. If you ask what I’d like see is I’d love to be married, have a home, maybe a kid. I do have a goal of being under 200 by the end of 2012. 8. Who is your favorite hero of all time? My Grandpa Richards and Jesus. 9. Do you consider yourself a happy person? Yes. I have a terrible horrible day on occasion but most of the time I feel happy and grateful. 10. What is your greatest trait, accomplishment, goal for the future. trait- I am a loyal strong friend who will move waters to help those I love. 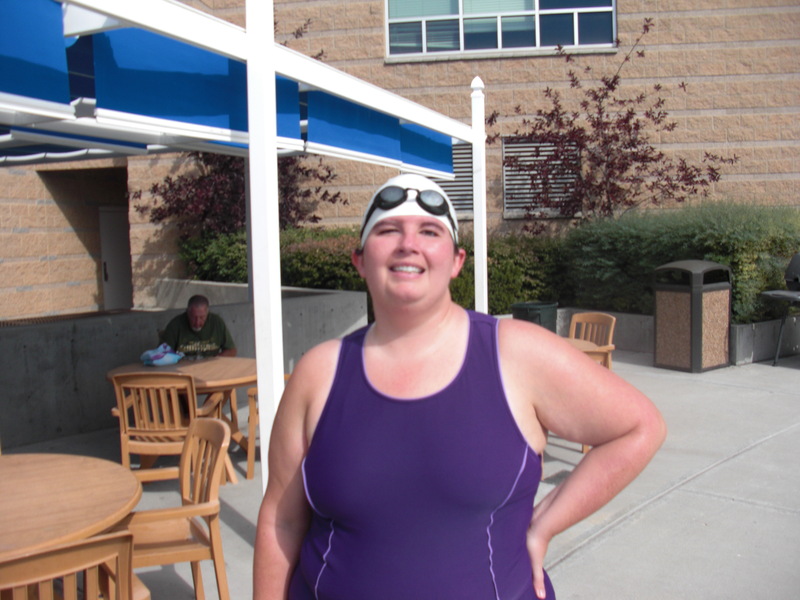 accomplishment- A Returned Missionary, a BA and an MBA, finished an open water swim in August and have lost over 50 lbs in the last 20 months. Take your pick on which of these is the greatest accomplishments? goal for the future- someday live by the ocean and live the best life I can. Someone once told me that having a goal to be ‘happy in my life’ was hedonistic and selfish. What is the alternative? I’d rather be a hedonist than a masochist. I’d like to be at 200 lbs by the end of 2012. Also off of Victoza and out of danger of diabetes asap. I’d also like to write my weight loss story even if it is just for myself. 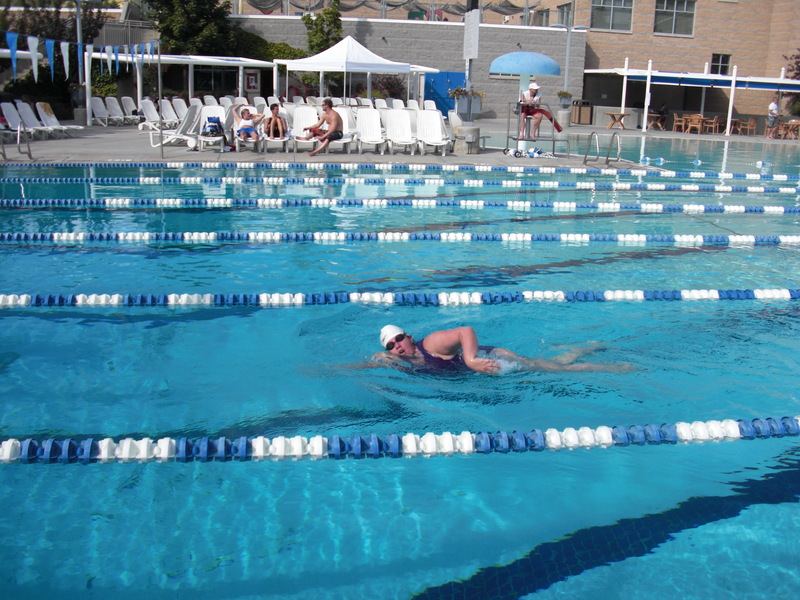 I want to keep doing open water swims, each time improving my times and distance. 11. What do you look for in another person? I would like someone that I have chemistry with, that’s fun to talk to, that is ready to be married in the temple, preferably a returned missionary, preferably with higher education and career ambitions, preferably someone interested in families. 12. Must have- temple wedding, active in my church, attractive smile, someone who loves me (an absolute must! 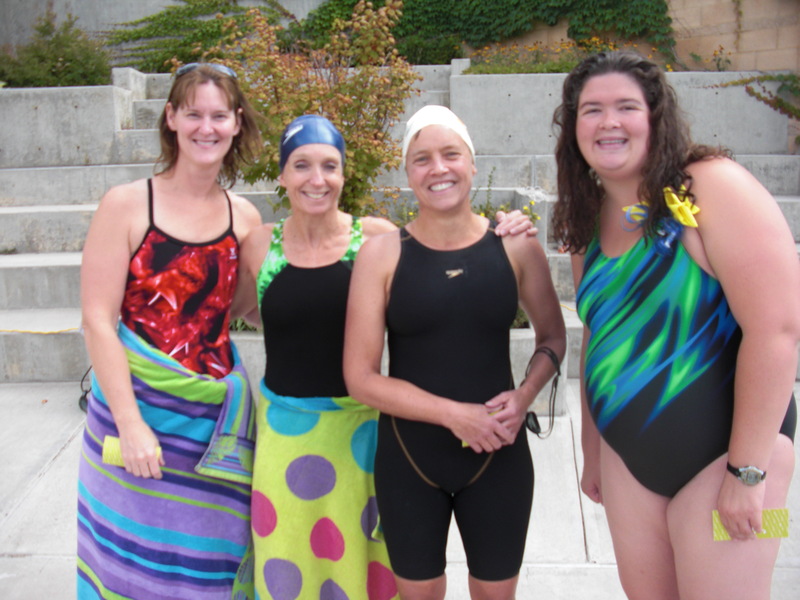 ), tries to get along with my family and accepts the time commitments that come with swimming in my life. I also need someone who isn’t intimidated by my family’s success or our family company. (No Daddy’s credit card comments!). I also have promised myself that I will show my fiance a photo of me at my high weight and if he can’t love that person forget it. I am not going to live with the fear that if I gain weight I will lose love. That isn’t real love. I’d love to meet someone who has also dealt with weight loss. Its hard for people to understand if you haven’t lived it what the experience is like. The Not Must Haves but Would be Nice- As far as particular job or degree that doesn’t matter as much. I’d like someone who I can talk to. Someone who is educated and interesting. Someone who has read a few books (even if they are not the same books I like. I have long believed that readers understand other readers). Someone who likes movies and music would be a plus. Also, a real tightwad would get on my nerves as would someone who is too much of a workaholic (one workaholic in a relationship is enough!). It would be nice if they liked the beach. I am not the biggest video game fan but I love other types of games. Not a camper and Not an animal person. I also have a high interest in home school but we can figure that out along the way! 13. What is my greatest turn off on a date? Well, aside from someone who is touchy-feely that doesn’t deserve it, I hate when guys make me do all the talking. I know I will do a lot of it, but its nice to have the date contribute topics. I’m open to discussing just about anything including politics, sports, travel, tv, books, anything. My favorite dates are when the conversation flows freely. 14. What is the worst date I have ever been on? Tough call. I’ve been on some doozies over the years. One of the worst was with a guyfriend of mine (one of the few I’ve had) in college (I can’t even remember his name!) who was always complaining about never getting a second date. To help him out I agreed to set up a group date and go with him (my sister, Seth, Emily and this guys roommate were the other couples). First of all this guy shows up late and says he is having to leave his roommates party in order to come with us (despite the trip being planned weeks in advance). Then he brought his homework on the date. During the beautiful baroque concert he kept complaining about how tired he was, and how long it was…Then in the end he kept trying to pick fights with me. I remember I brought up the most happy comment I could think of “Isn’t it great that they found Elizabeth Smart”. And I swear somehow he found something to argue about that. The entire date Emily and Megan kept looking back at me with sighs of sympathy. That was the worst date I’ve ever been on. (and to make it worse he tried to put his arm around me in the van- as if!). Let’s just say after that loooong night I understood why he wasn’t getting second dates. I wonder if I am a dating nightmare like him and don’t even realize it? He had no idea how obnoxious he was (or at least not much of an idea). Anyway, I don’t know if you would answer these questions in the same way I have. For instance, what do you think is my greatest trait or accomplishment? I fear asking you what my greatest weakness is! I am sure the list is infinite and could be produced with some vigor. If you had to set me up with a person what characteristics would you look for? (btw, when you find that person I am totally up for set ups). As I said at the opening, dating is a mystery that I do not understand. Sometimes I feel like love is a little like Santa Clause- this grand fairy tale I’ve been told since I was a girl but I never seem to see. 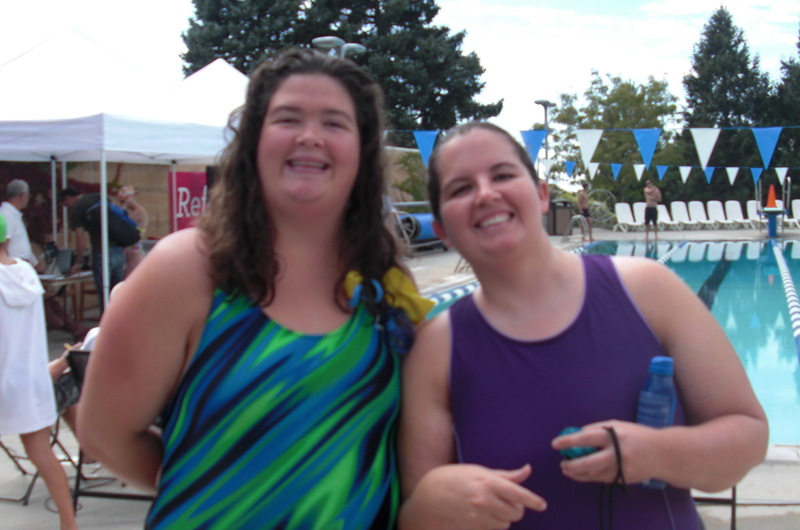 Oh well, I am focusing on getting 100% better and swimming in my meet on Saturday (first one in 13 years!). Then I have Slam the Dam next Saturday! The right person will come along. I have no doubts about that. Really. No doubts. 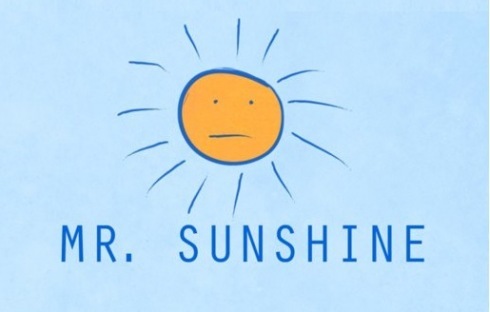 He may appear differently than each piece of this test but I’m sure Mr. Sunshine will be all I need because I’m already happy all by myself. I’m not just saying that to sound strong. I really am HAPPY ALL BY MYSELF. 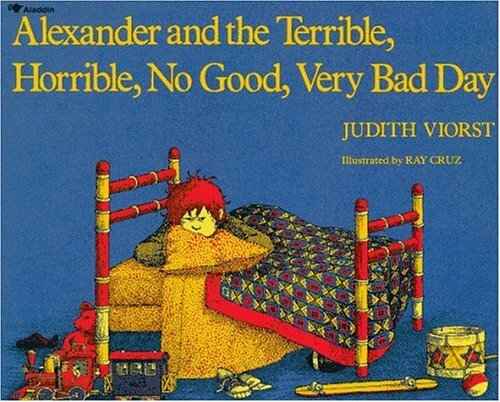 When I was little one of my favorite books was Alexander and the Terrible Horrible No Good Very Bad Day by Judith Viorst. In the book Alexander has a string of bad luck including such tough events as slipping on his skateboard, being stuck in the back on carpool, losing his best friend, and no desert with lunch. Alexander wishes he could go to Australia and be rid of his bad day. Isn’t it the truth? There are some days that just stink and where everything feels hard. I think it is great to let kids know they are OK if they have a bad day. Today was a bad day for me. It actually started last night where my wicked sinus troubles turned into a full-blown ear infection. My ears hurt like I was descending on an airplane and they were about to burst. Luckily I had some old drops from a previous ear infection and that helped alleviate some of the pain. Nevertheless, it was hard to sleep. Naturally I woke up cranky and less than rested. I had such visions for the week. 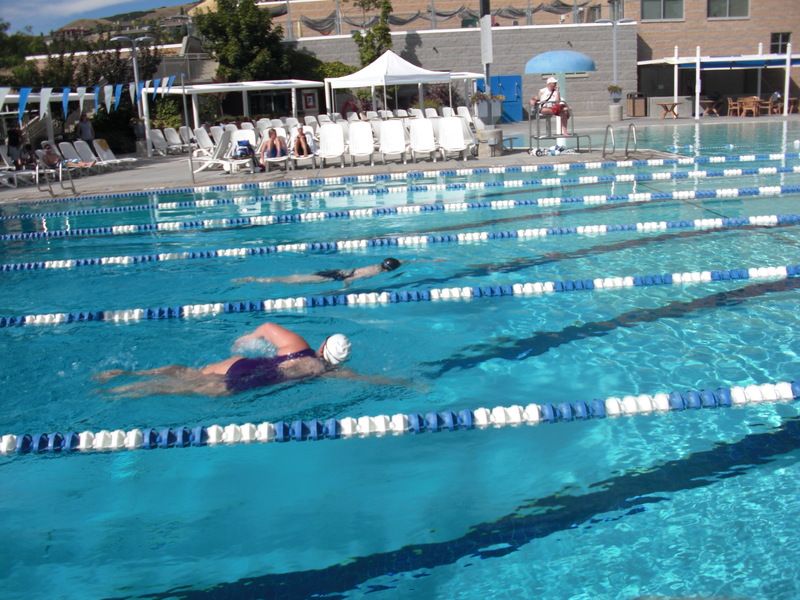 I was going to train every day and be a wiz in the pool for the upcoming meet on Saturday. Then the meet was going to propel me towards glory in the Slam the Dam race in Vegas next Saturday. I was caught up with most work projects and was looking forward to a productive, fulfilling work-week as well as a number of social activities. Then Saturday, the sore throat came, Sunday the cough and by Monday I was a snot-filled, wheezing machine. So as you can imagine it was a cranky, sore and stuffy Rachel that went to the doctors this morning and as always they were thoroughly unhealthful, unsympathetic and ponderous but provided me with the most-needed prescriptions. I was on my way. This is where I made a fatal error. Last week I had been to my OBGYN who had given me a medicine that is not covered by insurance. She recommended I fill the prescription at Costco so I decided to fill all 3 of mine today, including the antibiotic. After spending over $200 (I always do at Costco! ) and waiting over an hour (20 minutes my foot!) I finally got my prescriptions and $196 later I was out the door. Did the Costco employees box my stuff up like they usually do? No. I had to find boxes myself. Luckily I had some help loading my car which of course was a block away in the massive Costco parking lot. By the time I got home I was exhausted but could I rest, no. I had to lug all of the perishables up to my 2nd story apartment without any assistance (Downside to living alone…). After 3 trips to the car and back I began to put items in the fridge and freezer. Unfortunately in my haste to be done I inadvertently left the freezer door open and WHACK! My head and the door met in a loud crack. Let’s just say while there may not be a concussion, a goose egg there most definitely will be. With a slam I packed the rest of the perishables in the door and cried. I, like Alexander, wonder why does everything have to be so freakin hard? Why can’t I just lose weight like a normal person? How come Jennifer Hudson can lose 100 lbs in a year and have a baby while I am still 262 with PCOS, pre-diabetes, a painful ear infection and a head that’s throbbing like one of those old Looney Toon cartoons after a character gets hit with an anvil? In addition, I’m going through money like it is candy (Whoever said exercise/healthy living is cheap is insane. Since the beginning of August I have spent at least $750 on my 2 trainers, equipment, entry fees, and that doesn’t include my gym membership or medical expenses. Not to mention the added expenses healthy eating adds (most of the time at least)). I don’t have debt but I never seem to be able to save! Its like I’m a cliched character at the beginning of a romantic comedy except without the sarcastic best friend or the boy who secretly likes me but ‘we’re just friends’. There is something cathartic about reading her words because while I (knock on wood) am not prone to broken bones, it seems the pantheon of other illnesses is awakened when I set a goal or try to push myself in my training. When I was in college two of my friends entered the St. George Marathon and upon proudly finishing they had to be sent to the hospital for an IV and treatment. I always found it such a hollow victory when they would say ‘at least we made it to the end’. Now I get it. If I am in that race October 1st and they take me to the hospital after I finish it will be a victory- at least I will have ‘made it to the end’. 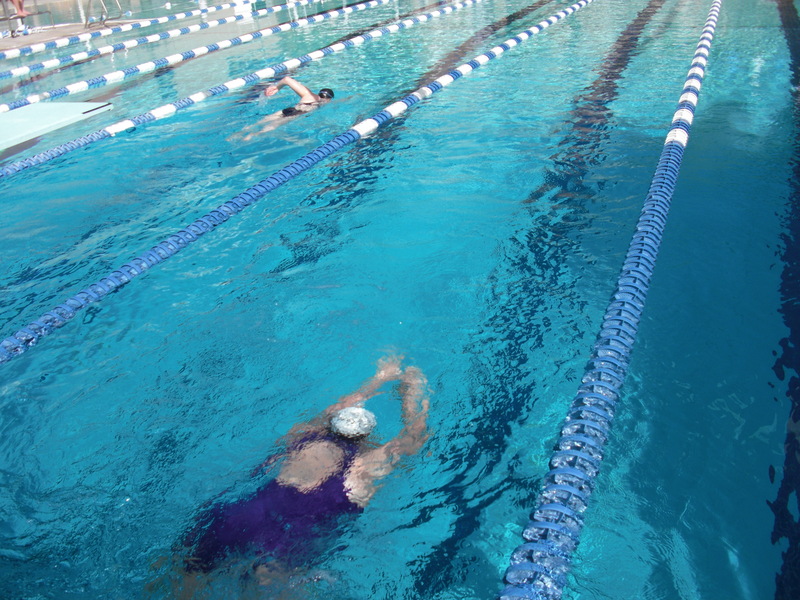 All of Satan’s minions could try to keep me from that race, but I will swim if it kills me. Ok. Maybe not kill me, but still, I get the victory of their hospital-lain achievement and it’s certainly going to take A LOT for me to give up. Setting and keeping goals is tough because life gets messy. People have no idea how hard it is to get into shape and on days like these I wish the ‘fat haters’ could walk in my shoes, and feel how I feel especially when they are prone to criticize the obese and heavy. It’s really hard and the days of agony far outweigh the days of fulfillment. That’s the way it is. To having a better day tomorrow, to antibiotics working, and to being able to complete my goals somehow, someway. Thank you everyone for your friendship, love and prayers. I also understand that in the scope of human travails mine are at the bottom of the totem pole but as my aunt Chris once said in a prayer ‘Our problems are small but they are difficult for us and we need help”. So today I am sick again. Sick and trying to work and keep my mind off of being sick. One of my strategies aside from using an entire box of tissues, is listening to music. 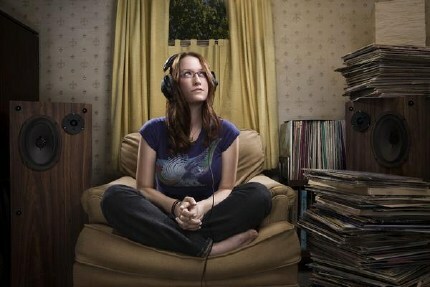 Anyone who knows me, knows I LOVE music! I have done many entries on various music groups and songs that I love, but today I found myself turning back to one of my favorite artists, Ingrid Michaelson. In 2009 Anna and I saw Ingrid live and it was a fantastic experience. This is true despite the fact that it was in a tiny club, with no seating- a situation I normally despise. She was so warm, personable and her voice so wonderful that she won me over in spite of my circumstances. It is exactly how I would wish to sound if I could sing well. Her songs are just what I would want to write if I could translate the thoughts in my heart adequately. 1. He or she can get their music featured on itunes or amazon.com. Usually this is after developing an internet following and being picked up by a major label. Three examples of this that come to mind are Jack Johnson, Colbie Caillat and Priscilla Ahn. All were popular on myspace or youtube and then featured as ‘free singles’ by Itunes. 2. The second way is to be featured on a television show such as American Idol or the Voice, or to have your music used within a popular show, movie or advertisement. The examples of this range from the Fray being discovered as the theme song to Grays Anatomy, to Regina Spektor headlining a target ad, to Cold Play (and a million other artists) getting a start in an apple ad. Ingrid Michaelson is no stranger to such promotion her songs have been all over shows like Greys Anatomy, One Tree Hill, Drop Dead Diva, and ads for Motts Apple juice and Old Navy. You think the musical purist in me would have a problem with such a commercial thinning of my favorite most beautiful music but I don’t. I think music has always been a commercial endeavor simply because of a need on the part of the artist to survive- and hopefully thrive! In some ways the commercial potential opens the doors to artists that could never have seen the album covers in the old days of dusty bars and agents. This song was on a Greys Anatomy show but I still LOVE IT! By placing her music where people are actually going to hear it, Ingrid not only entertains a wider swath of people and creates new fans, but she educates and widens their musical palate. Even as a big fan, there have been times when I’ve heard a song on a show, and then realized it was on an Ingrid album I’d listened to a 100 times and never noticed it before. I think it is great that people will hear a new song and think of the artistic director’s interpretation first, and then hopefully by listen 20 or 30, they have come up with their own views. Ingrid’s songs have such depth to allow for such diverse interpretations. I don’t know how many times I listened to that seemingly happy song before I realized there was another layer. To me, such realizations are the beauty of art and music. Its what makes a painting profound every time you look at it, or a song touching each time you sing it- there is no end to the layers of thought and introspection beautiful things can provide. What would it be like to write a line, a verse, a song, with that kind of power? I marvel with envy at those with such talents. When I was in college I had to write a poem for a class and it was rough going. It took me almost 2 weeks to write a pathetic little couplet. I think I was born to appreciate others gifts and Ingrid certainly fills me with such gratitude. Not only does she write the words so achingly and beautifully well but she sings them perfectly also. It inspires me in many ways. All beauty inspires me. After all, as a mantra of my faith I seek after anything “virtuous, lovely or of good report or praiseworthy”. I’ve never heard a version of this song I haven’t loved. I have 13 different versions on my ipod!